Why Is “Call Me Fitz ” Leaving New Minas? 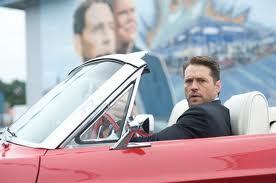 Canadian actor Jason Priestley, stars as the anti-hero Richard ‘Fitz’ Patrick. He is a morally bankrupt, substance abusing used car dealer. All good things come to an end. As far as this familiar expression goes, it couldn’t paint a truer picture. November 2011 finalizes the third and last season shot in Kings County. Many of the locals are asking the big question, “Why is Fitz leaving town?” While we may not have a direct answer to the elusive question, as there is never a simple one; we give the production our best wishes and countless thank yous for choosing New Minas as the set for Call Me Fitz. It’s been as wonderful as surreal.